- Why do you study English? 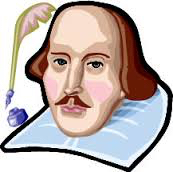 - I want to read Shakespeare in original. This answer was being perceived by me as a joke. Really, it seemed an incredibly difficult to read Shakespeare. But let's challenge you and try. contracted to = bound only to. The sonnet one is addressed to the poet's breathtaking friend, whose identity is unknown, assuming he existed at all. The poet's focus in this sonnet is to persuade his friend to start a family so that his beauty can live on through his children. Thanks to the teacher Alexsis for assisting me in this deal. The class with Alexsis in online English school albert-learning.com gave me inspiration for the friendly competition with Shakespeare.